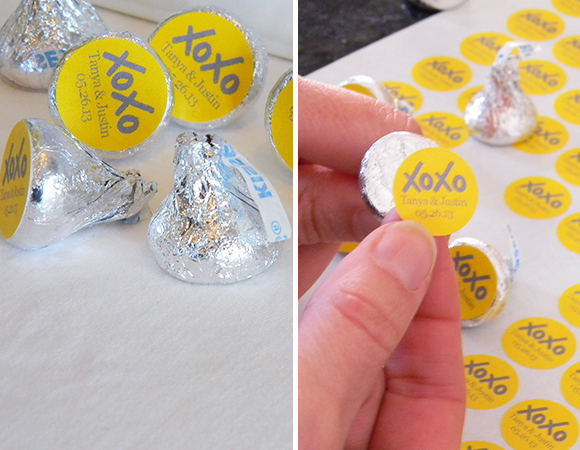 Personalized Hershey Kiss stickers are as tiny as they come over here! 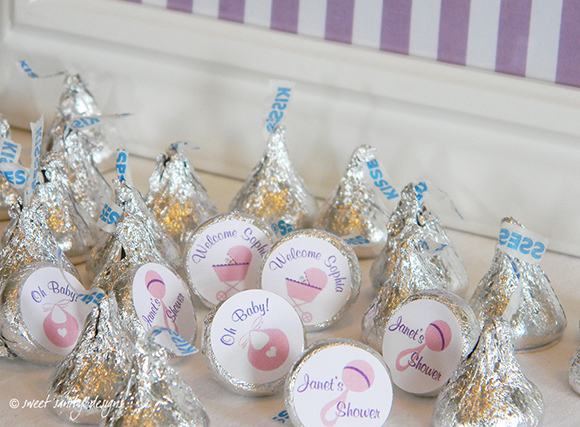 Sweet Sanity offers personalized labels for wedding and baby showers. They arrive on sheets for you…so then what? They are actually super easy to apply and it goes rather quickly. One SS sheet contains 108 stickers. 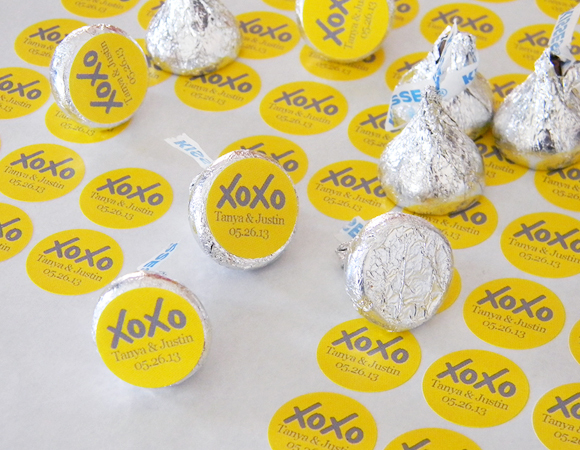 According to Google, in a 16 ounce bag, there are approximately 90-95 Hershey Kisses! 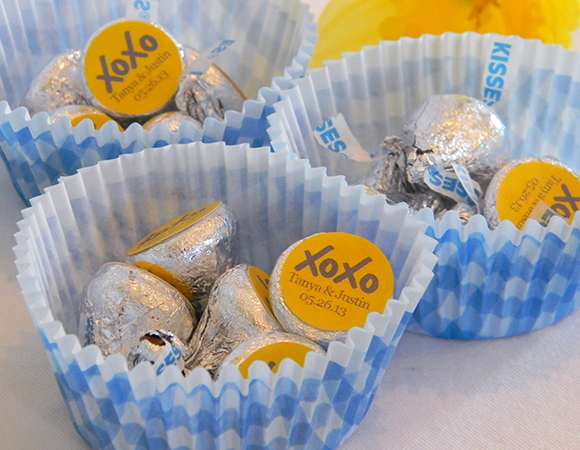 Simply peel off the sheet and hold your little kiss by the top. Center the sticker as best you can and press. 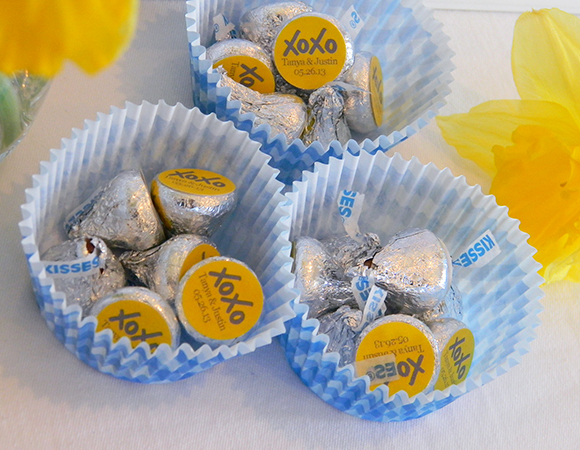 Kisses are always sweet in treat bags, but for another creative idea try setting them out in cupcake wrappers! 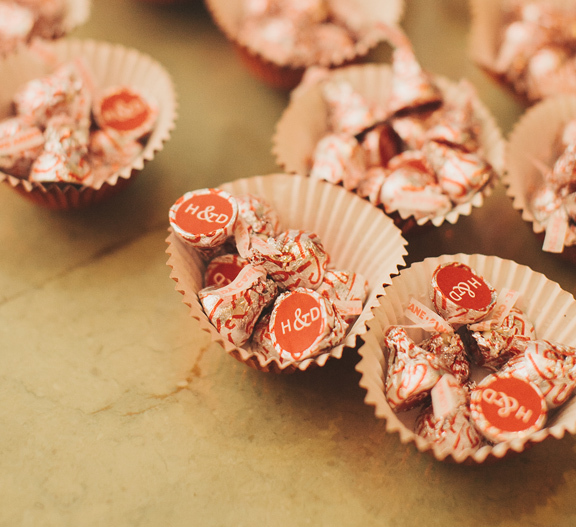 Pick a wrapper to compliment your colors and guests can grab a handful to go.